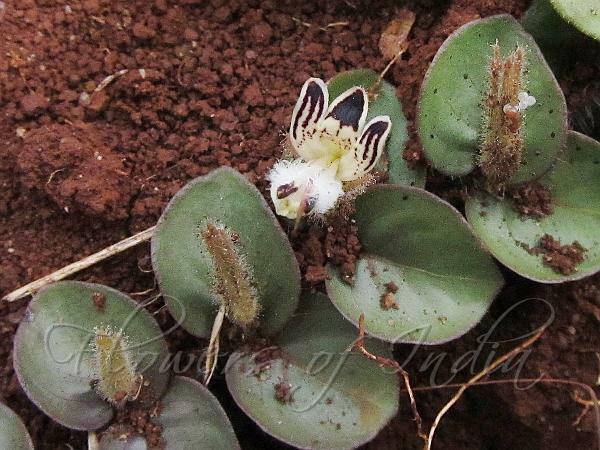 Roundleaf Kariyat is a trailing and rooting procumbent herb widely distributed throughout South India. The flowers are white, with brownish markings, strongly resembling the flowers of False Waterwillow. 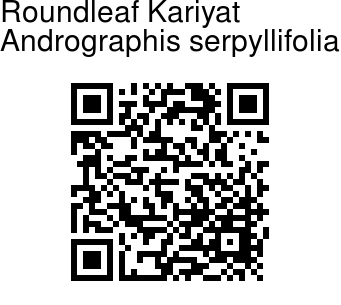 However, the plant is characterized by its round leaves and trailing habit. It is being actively investigated for its medicinal properties. Photographed in Hessarghatta Grasslands, Bangalore.